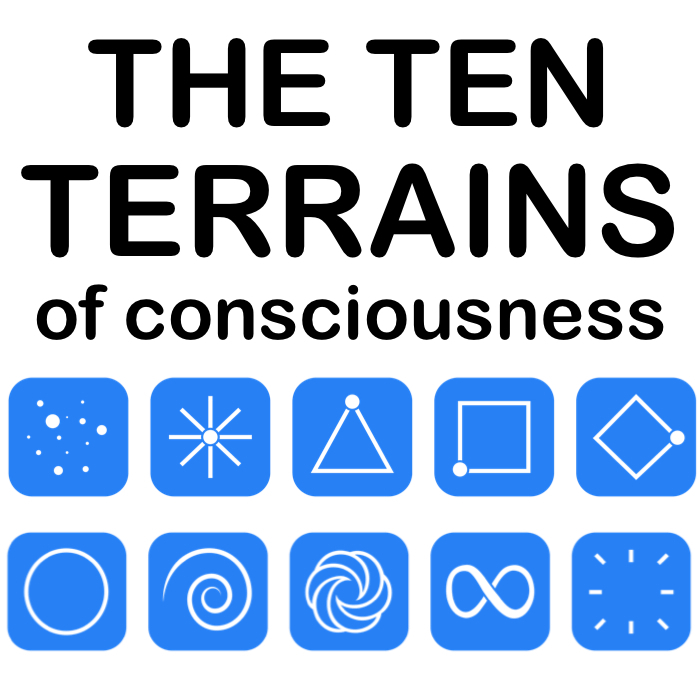 If you are at the Faith-Based Terrain, you believe in a higher power outside yourself that is omnipotent and omniscient, whether this is a God, gods, spirits or something else supernatural. You believe that this higher power creates the world around you and causes all the events in your life and in the world. You believe that the only thing that can keep you safe is the protection of this higher power. However you know that it is capricious and that it has the power to protect or smite you at will. Therefore, you spend your life seeking always to please this higher power and to avoid displeasing it, so as to be rewarded and to avoid punishment. You strictly follow its dictates and laws without question, and you strictly obey any human being whom you believe has the divine authority of this higher power. Your life is filled with ritual, lore and superstition. You walk the path of devotion, in the most fundamentalist and fanatical sense. ​If you are at Radial you have very unique challenges that people at the other Terrains do not face. 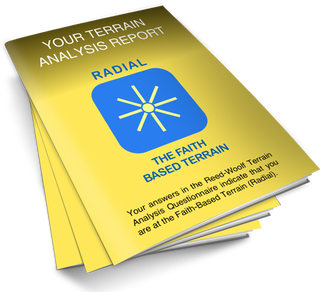 highly simplified summary intended to introduce you to ​the Faith-Based Terrain. 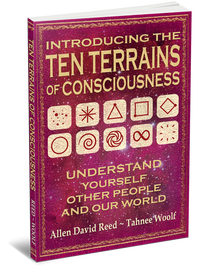 you will need to delve deeper into the Ten Terrains Model.